Siding protects your home and it’s the single greatest factor in determining the overall look and feel of your house from the outside. As a homeowner, replacing your siding has many benefits but how do you truly know its time for an upgrade? Explore some of these signs below to tell its time for new siding. If the paint on your current siding needs to be repainted every few years, there is something wrong with the site. 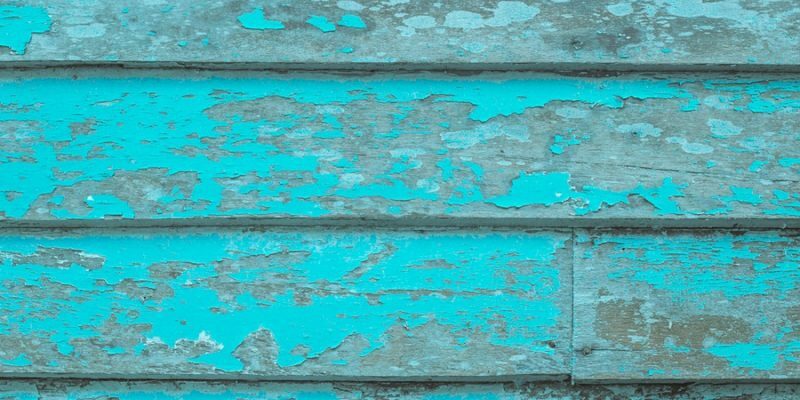 Besides the fact that you are wasting thousands of dollars to get your house repainted, siding should hold paint for much longer than every couple of years. With just a little bit of time, walk around your house and do a visual inspection of the siding. If the siding on your house are cracked or loose in multiple places, it may be time for new siding. If only a few boards are damaged or loose that can be repaired but it it’s widespread that’s a huge cause of concern. If you notice over the years that your heating and cooling bills start to climb, there is a good chance that air is leaking into your house. Siding and insulation that has broken down can be a primary cause of heat and cooling bills climbing. Peeling paint or wallpaper within your house can often be the cause of water making its way into your house. If your siding in faulty, moisture can seep its way into the interior walls of a home. Any mold or fungus growth on your siding can be a sign that moisture has made its way into the underside of your siding. While not all mold growth means you need to replace your entire siding system, it is reason enough to investigate further. E.M. Snow, Inc is a leading siding company in Massachusetts. We will provide a free inspection and estimate if we think you need new siding. For further information please feel free to reach out. We can be contacted over the phone at 781-893-4546 or through our online contact form. If you’re looking to replace your front entry door, there are several brands to consider. While there is a range of products to look into, Therma-Tru entry doors are a top brand and offer many benefits. Therma-Tru is one of the top brands on the market because of their 25-year history as well as their revolutionary entry door products. With a variety of styles and designs ranging from classic wood to the more industrial steel, there is indeed something for everyone’s taste. One of the most significant benefits of Therma-Tru door is their energy-efficiency. Five times more efficient than traditional wood doors, these doors have a polyurethane foam core and offer high-quality weather stripping to keep cold air out of the home. Your front door also endures a lot of wear and tear, as it’s often the most trafficked door of the home. Therma-Tru doors are incredibly durable and are made of unique fiberglass that prevents it from cracking or damaging. Unlike wood doors, they won’t adjust size based on the weather, and they won’t rust. If you’re a fan of the wood style look and feel, Therma-Tru doors offer AccuGrain technology which provides the look and texture of real wood, as well as the durability of fiberglass. Security is a significant factor for any homeowner. Good news though – Therma-Tru doors offer unparalleled security to keep you and your family safe. The Tru-defense door system maximizes the seal of your frame, keeping air and water infiltration to an absolute minimum. You can also add security feature that protects your home from 450 pounds of force. Therma-Tru doors can also be coupled with a multi-point locking system to provide added security. 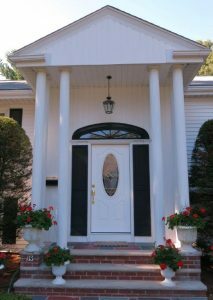 With a variety of styles, Therma-Tru doors also add curb appeal to your home. One of the easiest ways to upgrade the look of your home’s exterior is through a new door. With dozens of options, there is a Therma-Tru style door for every homeowner. If you are in the market for a new door, consider the Therma-Tru brand for an eco-friendly, stylish and secure option for your home. Before purchasing a new door, contact Company E.M. Snow, Inc, to ensure the door is installed correctly. We can install the door fast and efficiently, allowing you to enjoy the many benefits as soon as possible. Maybe you just bought a new house or maybe you’re in the process of renovating. 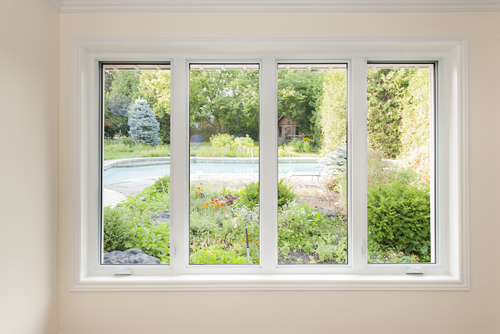 There is never a wrong time to replace the windows on your home, and there are several benefits to spending the upfront money to replace them. But how do you know when to bite the bullet and make the change? 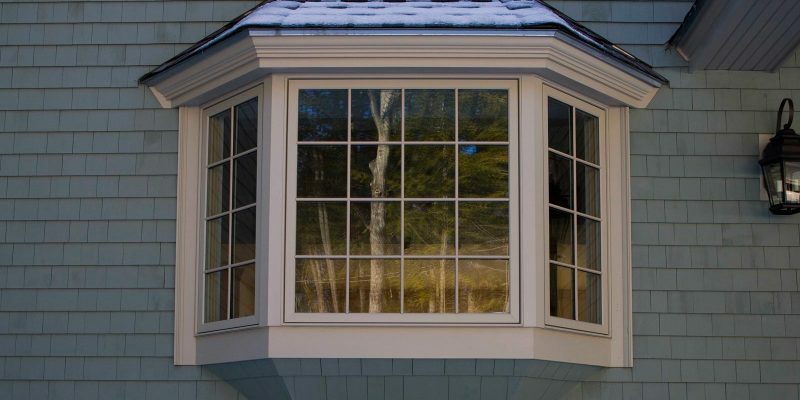 As your wooden window frames are repeatedly exposed to moisture and natural elements such as snow and rain, your frames may begin to rot or decay. Once this happens, they can warp. This is an obvious sign that it’s time to replace your windows. If you ignore this issue, your windows might start to leak and water could pool in your home. Are you recently noticing an increase in condensation? This can be a sign that the seal between the windows has begun to fail, and it’s time to replace them. If left unaddressed, this can result in leaky windows and additional damage to the interior of your home. If you’ve noticed an increase in your monthly electric and heating bills, your windows might be to blame. If your windows are of an older age, it’s likely that the heating and cooling is likely going to waste. Newer windows are now highly energy efficient, and even offer special features like UV blocking technology that will minimize the amount of UV heat let in through the windows. If you plan on renovating your home, this is a great time to also replace your windows while work is being done. If you’re getting vinyl or exterior work completed on your home, it is convenient to replace the windows at the same time as they’re all connected. This can also help improve the curb appeal of the overall renovation work completed. Ignoring the warning signs of faulty windows can result in major issues for your home’s exterior as well as the interior. Upgrading to nicer windows can make your home look better and save you money in the long run. If you have questions about replacing your windows, or you want a second opinion on your windows, contact E.M. Snow, Inc, contractor for a consultation. It’s happened to millions of people — you’re sitting down at the dining room table and notice a leak coming through your ceiling. Or maybe a strong storm comes through and knocks some shingles off. Roofing work can be tedious and dangerous. So, before getting on the roof yourself to inspect the issue, consider hiring and roofing contractor to complete the work safely and efficiently. There are several reasons you should hire a professional to do your roof work. The number one reason being an experience. No matter how many books you read or YouTube videos you watch, nothing can compare to the knowledge that a professional roof contractor offers. If you attempt to fix the roof yourself, you could ultimately cost yourself more money and hassle by having to hire a contractor to go behind you and fix your work. Countless people fall every year while attempting to do roof work themselves. Professional roofing contractors are trained in the methods and required materials to safely complete work on your roof. Roofing work is arguably the most dangerous part of home maintenance and should be left to a professional instead of attempting to climb and fix it yourself. It often involves ladder and pulley systems, and sometimes even harnesses to ensure the safety of the workers. Another main benefit of hiring a professional roofer is the potential warranties you receive from the contractor and manufacturer. This can help guarantee the work is completed on time and properly to ensure the warranties are considered valid. This ultimately can save you money if an issue ever arises again after work is completed. 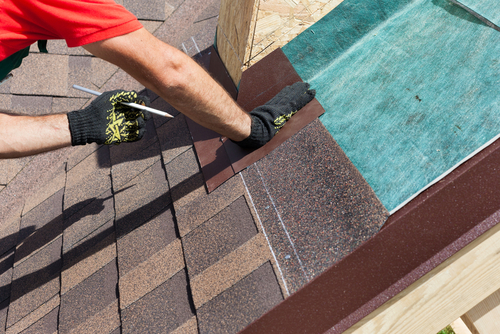 Professional roofing contractors can often get discounts on materials and wholesale pricing. If you don’t have a roofing license, you likely won’t be able to get the same discounts that contractors are allowed access to. Additionally, if you begin the work yourself and mess up, you’ll likely have to buy more materials, ultimately costing more money. Lastly, time is money. And a professional roofer can evaluate quickly and correctly where the issue on your roof is originating from. 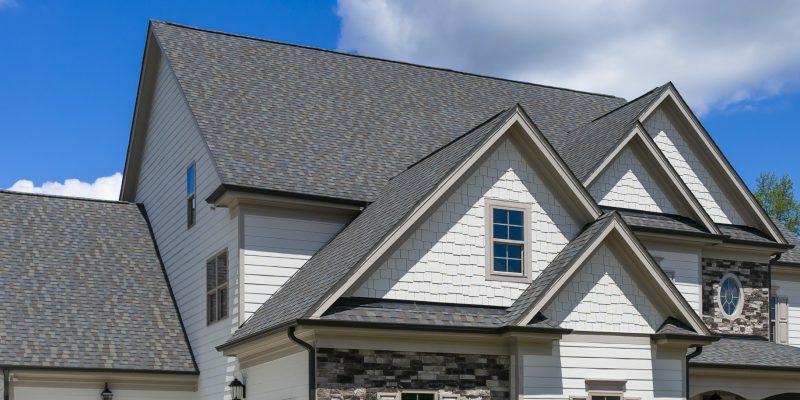 By attempting to complete the roofing yourself, you will likely waste time diagnosing, while a professional can accurately begin working to fix the issue at hand. Having well-insulated windows will protect your home and family from overusing your air conditioner or heat throughout the year. A question we commonly get asked is “how do I know if I need to replace my windows?” Besides the most visible signs such as water leaks or cracked glass, there are other warning signs your windows need to be replaced. If you’re finding yourself increasing the heating during the cold, this could be a clear sign that cold air is escaping your home. Additionally, if you notice cold air as you walk past the windows, then you will need to replace your windows. There are other reasons why your windows are drafty, including poor installations and broken seals. There are still older homes that have single pane windows. Double or triple contains extra insulation which will not only protect your home but also helps your heating system to work less and as a result, saves you money. Struggling to Open the Windows. If you are finding it hard to open your windows each year, it’s not you, but your windows. This is due to moisture settling in your windows which cause it to swell, which over time, you will find it harder to open and close your windows. Don’t postpone this issue and contact your local window professional to fix the problem. Have you noticed your utility bills have skyrocketed compared to last year? Chances are, your HVAC system is working much harder than it needs to be, and this is due to your old, leaky windows that are allowing a significant amount of air (and vice-versa). Are you having trouble sleeping due to the noise coming from the outside? Improper insulation and cracks are issues you should not ignore. Replace the windows before the costly damages increases. If you’re looking to replace your windows in Waltham MA, please feel free to get in touch with our window professionals at 781-893-4546. The roof is one of the most important areas of the house that needs to be maintained all year round. At E.M. Snow, Inc. we understand selecting and buying a new roof can be a big decision and investment. However, once we correctly install your roof, we guarantee you peace of mind for many years. Here are 3 benefits of a new roof. Old roofing can cause issues like water damage that can potentially lead to mold and mildew, which becomes a safety hazard to you and your family if it continues to be exposed to the elements. A new roof installation or replacement will protect your home from all the natural elements hazards and keep your home dry. When your roof gets old, its shingles will start to curl, peel, or even fall off, which allows air in your home to escape. A new roof will not only help fix holes, but it will be well insulated and also be built with new energy efficient materials to help reduce energy costs even further. Increase the look and value of your home. If you are planning to sell your home soon, investing in a new roof is a great way to increase your home value. Potential buyers tend to feel more at ease when knowing a home roof has been recently maintained, as it means they do not need to think about replacing anytime soon. If you’re interested in a new roofing installation in Waltham, MA, we highly recommend you speak with us for a free estimate. For more information about our roofing services, call us today at 781-893-4546. One of the top questions we get asked every winter is should we wait until spring to have our roof done? While we understand to worry about having roofing work completed when the weather is cold, there are some of the benefits of doing so. If you notice a leak, it is best to get it fixed right away. Leaving the problem until spring to deal with will just grow worse, putting your home and family in danger of developing water damaged and mold. Scheduling replacement during winter will not only lower risks of damages but keeping you and your family remain dry and warm all season long. Damages to the Roof leaves it vulnerable to the elements. We know how unpredictable the winter weather can be in Massachusetts. 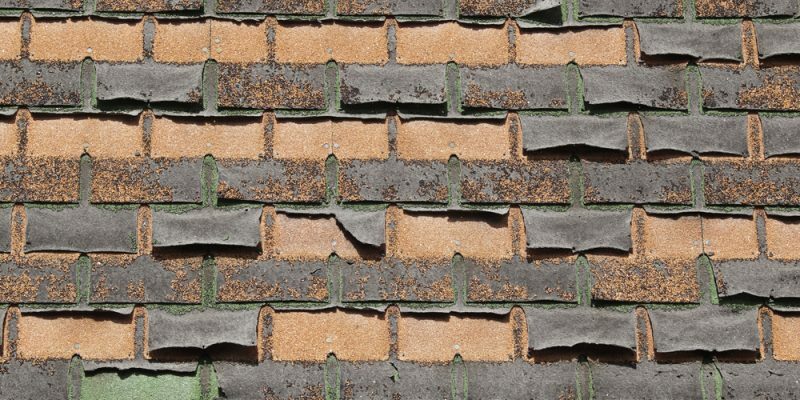 If you spot any damaged, loose, or missing shingles after winter storms, it’s essential to have them replaced as soon as you can. As you can imagine, some contractors are more comfortable doing roofing work during winter rather than the hot summer months. Being up on a roof exposes these workers to even warmer temperatures, which can make it difficult for them to complete their work safely. 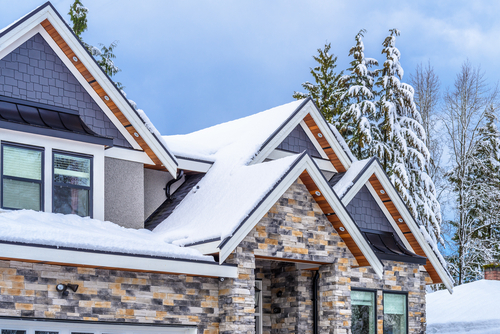 Those who do roof replacements during winter can stay warm in colder temperatures while still being able to go about their jobs. Safety is a priority for us, which means snow needs to be cleared away first before getting started. While this adds a bit of time for replacements, but once the snow is cleared away, contractors can or handle replacements in a safe, non-slippery environment. Please contact us today to set up a free consultation for roof installation or replacement. The winter weather won’t be stopping us! Even if your roof isn’t falling in on itself or if there aren’t puddles in your home, there are plenty of signs that your roof needs to be replaced. When your roof starts to fall apart slowly, it will usually tell you. As a homeowner, it is important that you are aware of these signs. Whether you think your roof is getting old or if you are doing a routine check, these signs may be telling you that it’s time for a new roof. 1.) Roof Age: Most asphalt roofs have a typical lifespan of 20-25 years. This will obviously vary depending on the quality of maintenance your roof gets and other circumstances. 2.) Buckling or Curling Shingle: Look at the slopes of your home that get the most sunlight. If your roof shingles are starting to buckle or curl, that is a sign you may need a new roof. 3.) Missing Shingles: If a shingle here and shingle there fall off your roof, it isn’t the biggest deal in the world. But, if it happens fairly often and your house starts to look like a checkerboard you may want to look into fixing this issue. 4.) Shingle Pieces in Your Gutter: The shingle pieces that make up a roof are very smaller granules. As the shingles start to break down the shingle granules will start to come off and roll into your gutters. 5.) Sunlight Showing In The Attic: One of the easier issues to notice is if daylight comes through the roof boards in your attic. There are so many different variables that go into a roof. Along with that, your roof gives you man signs that it is breaking down. If you aren’t sure if you need any help with replacement roofing issues, please feel free to reach out. When customers get new roofs with us, we always recommend CertainTeed Products. A new roof is not a short-term fix. With our skilled contractors and high quality manufactured materials, we have a solution that lasts for a long time! E.M. Snow Inc. has over 50 years of experience in Eastern Massachusetts and is happy to help. We can be reached over the phone at 781-893-4546 or through our online contact form.